Last year I added a firepit to our garden as was looking forward to lighting it up this year and gently drifting off in a warm, sloe gin induced, sleep. Ok I know I would have woken up covered in slug trails, but it sounds like fun right? It hasn’t happened. Most weekends I have spent under the sails in the garden watching the rain fill the fire pit, lit up by the lightning flashes. No chance of sleep with the thunder…. Well it’s probably an exaggeration but it feels like it. Every , black massive, angry cloud has a silver lining though. The fact is it has been reasonably warm so this means that it is ideal growing conditions for new season veg, warm and wet. So this means that we are getting new season veg in a few weeks earlier than previous years. The salads have been great, but as my Lettuce Ideas – No More Boring Salads post showed we are starting to lose support for the salads faster than Becca on the karaoke. So what’s in the pipes so to speak? We have already started getting some beetroot in. It is one of our less popular veg it has to be said; I am planning a beetroot special to show you all how to use it to the get the best out of it. I’m sure most of us remember Sunday tea with celery and crumpets and pickled beet. **shudders**. I have to say the only way I ate the celery was by dipping it in a month’s supply of salt. The other good news is that the spring onions have swelled up and are a good size now, and the fennel is on its way. A few more wet days, hopefully week days, and they will be good to go. The summer quash are tiny at the moment. I am told they seem to stay like this for a week or two and then when they go the swell up really quick. As the picture shows, they crop well but we just need to wait for them to come on. We are waiting for some of the greenhouse crops, aubergines, peppers etc to come on as well. They really need sunshine to come on…alwys an issue in the UK. 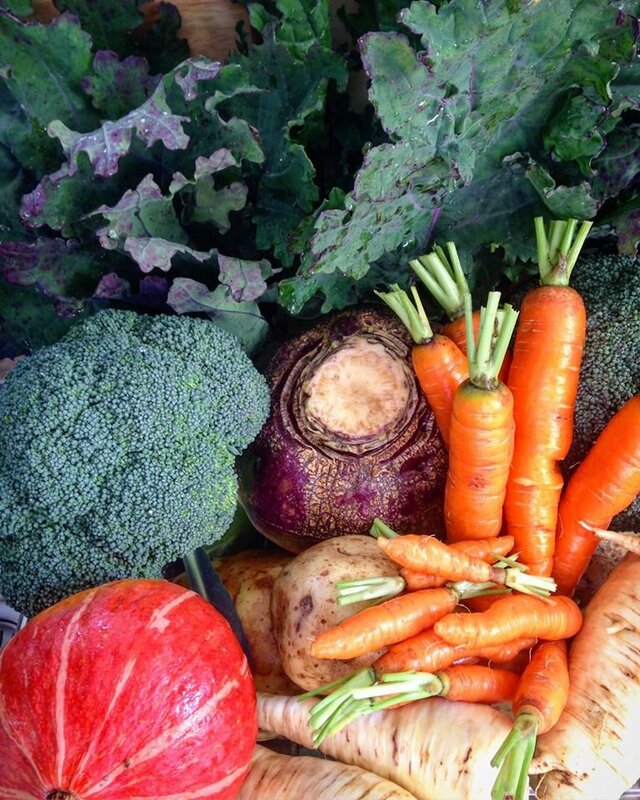 Finally our last, but most popular veg is the humble carrot. Bit like us it starts as a tender, small entity and ends up large, tough and somewhat scarred. We prefer this stage and it is great news that they are back from next week. Usually bunched when they are this small, they will add colour & smell to the boxes, and we all love the carrot! We have always got our carrots from Sandwich, and they have always been great. They are not sprayed, so we have to keep a careful eye out for too much fly (black scars on the root). They will come with mud on so be prepared to give them a scrub! Finally the picture below shows what happens when the drainage fails. Our producer in Halling is next to the Medway and the outflow for the drainage was blocked by driftwood. This is the result….. hopefully the crops will survive and it can dry out. Who’d be a farmer? Those carrots look fantastic! My carrots have been in for almost 70 days and are still tiny little things. Hopefully they bulk up in the next few weeks. Happy growing! Next Post Why Eat Fruit & Veg?